Twenty-three years earlier . . .
TEN-YEAR-OLD Jeffrey Christopher crouched over his skis as he raced down the snowy hillside. A bump appeared on the side of the trail and he shot toward it, tucking his poles beneath his arms like an Olympic racer. He waited until the last instant, then pushed up with his knees and popped into the air, whooping with excitement. He landed in an explosion of snow, zigged and zagged to slow himself, then turned his skis and braked to a stop. He turned and looked uphill. James Christopher knew he’d be taking the jump the moment he saw Jeffrey heading for it. The boy loved watching his father fly through the air as much as he loved being airborne himself. James wasn’t really interested in bumps and jumps anymore–growing old sometimes did that to a man–but risking life and limb (and watching his father do the same) seemed hard-wired into his son’s DNA. It made the boy smile. And that was all the reason James Christopher needed to take the jump. He was Jeffrey’s hero and he knew it. Jeffrey once told a friend his dad was “the best skier in the world!” After that, James would have taken an Olympic ski jump blindfolded rather than disappoint his son. He bent his knees as he made his approach, then hopped and popped into the air. He splayed his arms and legs–a classic spread-eagle–and landed cleanly. He braked hard, spraying Jeffrey with an icy shower of fresh, frosty, sparkling powder. “Loose Moose!” Jeffrey said without hesitation. James took a moment to catch his breath as Jeffrey planted his poles and pushed off. He knew before asking that they’d be hitting Loose Moose. It was their signature run. Narrow monkey trails snaked through the pine forest on both sides of the creamy corduroy, and father and son both enjoyed darting between the trees, ducking beneath snow-laden branches, hopping fallen logs, and slicing through piles of loose powder before blazing back onto the groomed run again. James gasped, abruptly overcome by a wave of nausea and dizziness. He wedged his skis to slow himself, suddenly confused and out of breath. His chest began to burn, felt as if it were being crushed. 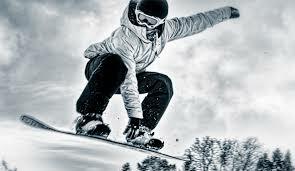 He braked to a stop and bent over his skis as he tried to catch his breath. His head swam. His ears rang and his chest flamed. He could feel his heart pounding. He had no way of knowing it, but an aneurysm–a weak spot in the aorta below his kidneys–had burst and begun spilling blood into his abdomen. The result of a genetic defect, the aneurysm had gone undetected for years. But now–weakened by a recent infection and aggravated by the stress of hard skiing–it had given way. His heart began pumping faster to compensate for the diminishing volume of blood. The extra fluid in his abdomen created pressure against adjacent veins and arteries, further slowing the circulation of blood and depriving his body of oxygen. Searing pain slashed through Christopher’s chest and he fell to the snow, gasping and clutching at his coat. Jeffrey turned to look back uphill just as his father collapsed. The boy slammed to a stop, popped off his skis, and struggled to run back up the slope. He sank to the top of his ski boots with every stop in the soft snow but didn’t quit. He clawed his way up the hill with all the speed he could muster. By the time Jeffrey reached him, his father was unconscious. Confused and frightened, Jeffrey shook his father, then shook him again, desperately trying to wake him. There was a shushing sound and he looked up to see a skier slicing down the hill. The boy stood and frantically waved down the passing skier. The skier took one look at the man lying crumpled on the snow. He could see blood trickling from the corners of the man’s mouth and knew the situation was more serious than a broken leg or a sprained ankle. Certainly beyond any help he could offer. He knew he could stop … but he didn’t know first aid. But he knew where to find someone who did. Before the boy could respond the skier planted his poles and shot down the hill, relieved to have a task he could handle. Jeffrey knelt beside his father feeling lost and alone and more frightened than he’d ever been in his young life. Hot tears seared his eyes.